M-Sports 'works' cars will carry new number this plates this season. Sébastien Ogier's Ford Fiesta will have the number 'WRT 1' while Ott Tänak will carry 'WRT 2'. The number plates have been loaned to the team by W R Tullock and Sons Limited – the longest established Ford Dealer in Scotland. The fifth generation W R Tullock and Sons was founded in 1901 when William Reid Tullock returned to his home in Orkney following 17 years in America. During his time in the USA, William met Henry Ford and from that first meeting the Tullock family’s loyalty to the Ford brand began. It is even recorded that after crossing the Atlantic en-route to London in 1915, Henry Ford anchored in Kirkwall Bay where William was requested to come on board and renew their friendship. Since its foundation, the company has remained a family firm. Managed through the generations, William passed ownership onto his two sons, David T Tullock (Theo) and Robert P H Tullock. Theo’s son Robert T Tullock was next in line, followed by his two sons, David R Tullock and Duncan A Tullock. Today, David’s son Warren R Tullock continues the tradition and it was he who offered the two number plates to M-Sport’s lead drivers for the 2017 FIA World Rally Championship. David and Warren were invited to the Autosport International Show in Birmingham to see the new cars. 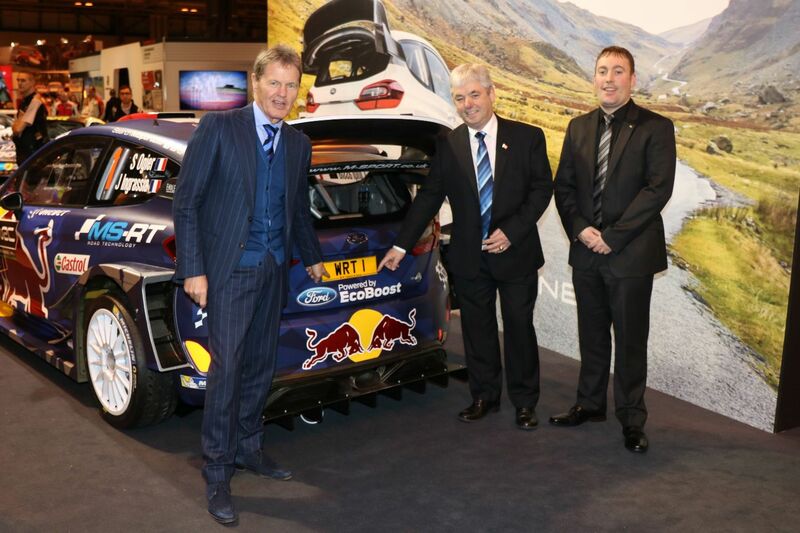 M-Sport Managing Director, Malcolm Wilson OBE, said: “We have long enjoyed a special relationship with the Ford brand, as have W R Tullock and Sons, and we are delighted to accept their offer of these special number plates for the season ahead. It’s fantastic to have such support from such long-established members of the Ford family - highlighting the magnitude of what we have accomplished over the past few months. Warren R Tullock added: “Being avid motorsport fans – especially anything Ford or powered by a Ford engine – my father and I both thought this was an ideal opportunity for M-Sport to emphasise their position in the 2017 World Rally Championship; not only displaying the numbers one and two, but also having their status as a world rally team underlined with WRT 1 and WRT 2 on their car registration plates."